The other night some friends and I decided to try out the new mac n' cheese restaurant in town. 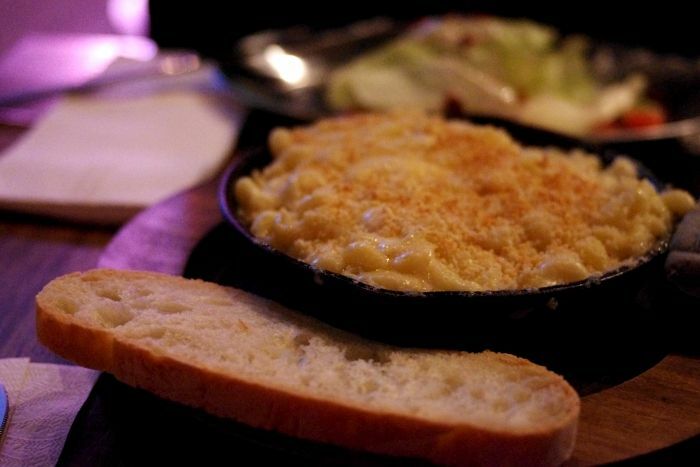 I was pleasantly surprised and must say that I thoroughly enjoyed my cheesy pasta dish aptly named "the Popeye." The food came in a little skillet along with a very unnecessary slice of bread. I wouldn't call this my new go-to eatery but after scoping out the nearby tables, I'm curious to try the BBQ and Tex-Mex mac dish next time I drop in. 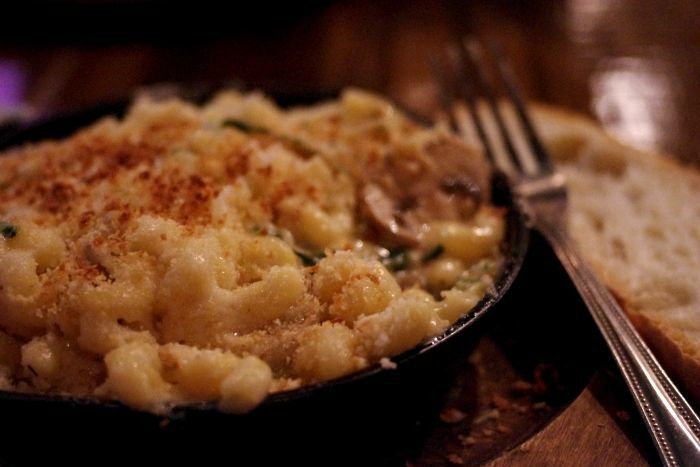 I have a feeling this place was based off NY's S'Mac (Sarita's Mac N' Cheese). Looks like I have another food stop to make the next time I'm in New York. It looks delicious! !...ok now I am hungry...xD...btw love your scarf! A place for just Mac and Cheese? What's not to like? Hey! Thank you for the comment (: That looks unhealthily delicious!! I love your outfit...been obsessed with maxis lately. 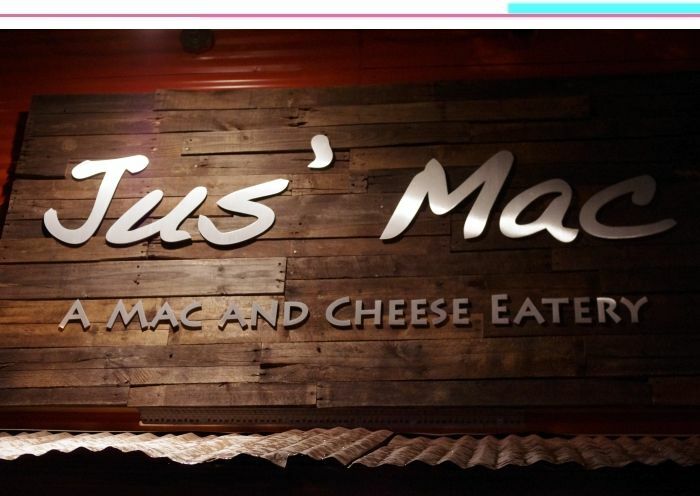 UHH THERE'S A RESTAURANT DEDICATED TO MAC AND CHEESE? I'M SO THERE! I wish we had one in berkeley/san francisco, jealous :( We do have a restaurant dedicated to french fries and toppings. Not the same though! Wow there's an actual mac and cheese restaurant! Sounds fab. 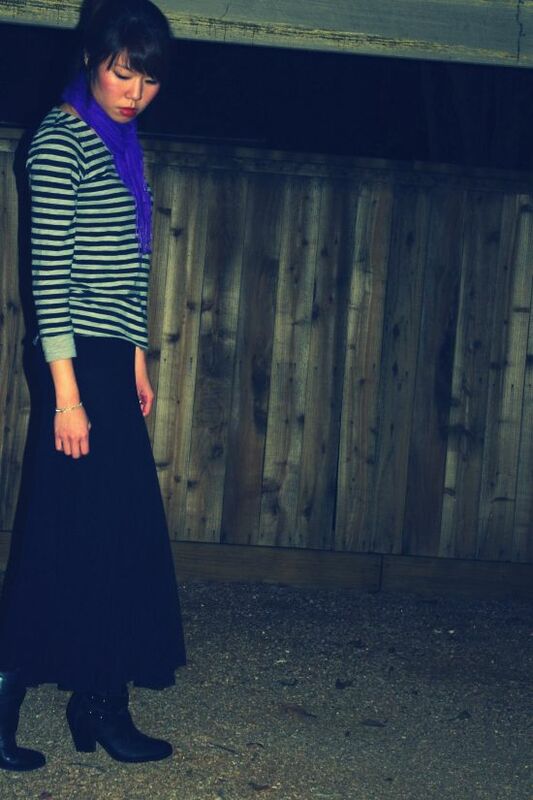 Love that skirt btw. Thanks so much for your lovely comment sweetie, would love you to follow. Great blog, now following. Oh. My. Gosh. 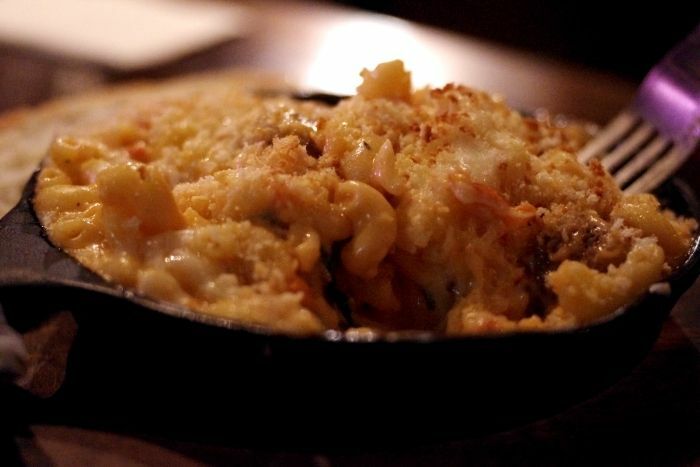 That mac and cheese looks HEAVENLY. Starting now, it's exactly what I want to eat....immediately. 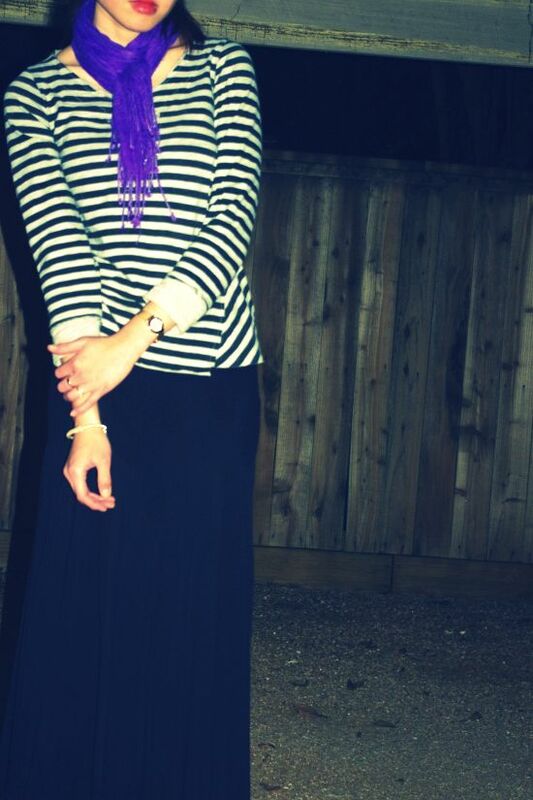 PS cute skirt and top. and bytheway thanks for commenting on my post. hope you could visit me back! Take care! That pasta dish looks freakin' delicious, and I love your bright bright blue scarf. It stands out. Thank you for visiting and comment. Great blog! I fell in love with your type of beauty!